Tortoise Edible Plants & Tortoise Edible Weeds that are safe for tortoises to eat including sulcata tortoise safe plants and more. Various types of tortoises enjoy weeds, plants and other edible greens. You can feed these types of plants to the following species: Sulcata tortoise, leopard tortoise, indian star tortoise, aldabra tortoise, burmese star tortoise, russian tortoise, greek tortoise, hermann’s tortoise, egyptian tortoise, pancake tortoises and most other species of tortoise for sale. Please note this list is in ad­dition to a large free range area where animals can graze and browse on various grasses and clovers – grass is a very important factor in the diet of leopard and sulcata tortoises, for example. Don’t forget Mazuri tortoise chow, as a 2-3 day a week staple! Dandelion (Taraxacum officinale) leaves, stems and flowers. White clover (Trifolium repens) leaves, stems and flowers. Prickly Sow Thistle (Sonchus as­per) coarsely or finely chopped. Bramble (Rubus fruticosus) shoots, tender leaves & fruit. 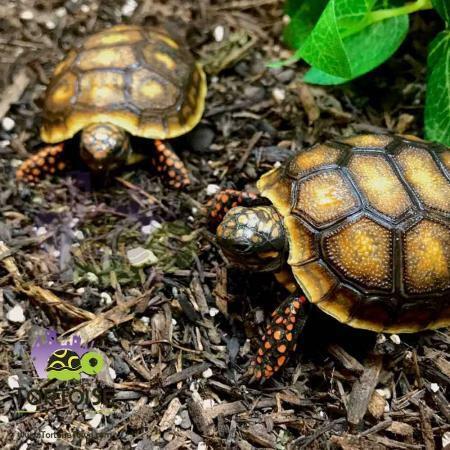 Remember when searching for any tortoises for sale, including a new baby tortoise for sale, tortoise town is your source for the best tortoise for sale , baby tortoises for sale , baby turtles for sale, and adult turtles for sale of any turtle store anywhere including a huge aquatic turtles for sale section. If you are interested in tortoise care, please visit our care section.